Teens Dream Competition launching September 30th! Teachers and Teens – get ready! | Teens Dream Co Lab is a collaborative of teens and adults who encourage teens globally to be change agents in their communities, and the world! Super excited that our 4th annual Teens Dream Video contest will be launched at our celebration on Saturday September 30th! We are flying our winners from France, England, and across the USA to Washington DC to celebrate them that day and link them with mentors that weekend. Encourage your friends, colleagues and family to inform teens across the world – share our map of submitters from over 20 countries! Teachers — share this powerpoint presentation and flyer and encourage your teens to learn about how they can help their communities, their country and their world by learning about the United Nations Sustainable Development Goals and entering our very simple contest! All they do is post a two minute video on their dream by January 5th 2018! Post the flyer and circulate the presentation to help us spread the word! It is that simple! Circulate our promo rap and winner videos! Like our social media! 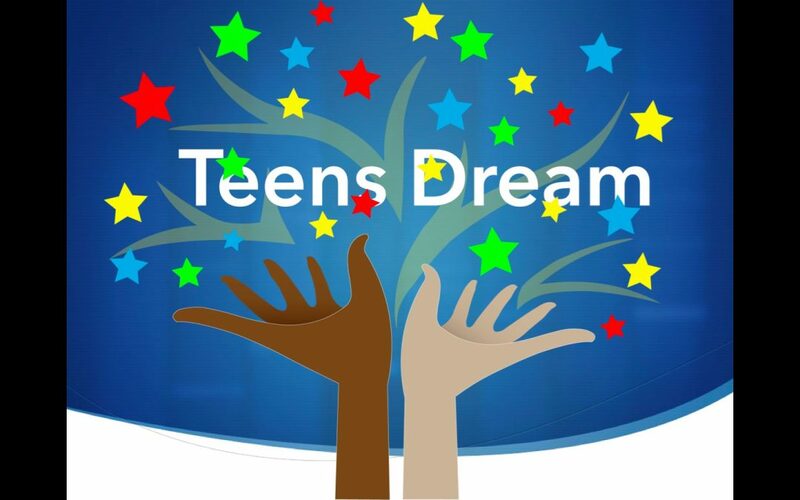 Teens care about their future and Teens Dream is here to support them! Please join us!